The Connex Stolen Vehicle Recovery System uses the latest GPS and GSM technologies. Continuous vehicle surveillance is ensured by Security Operating Center (SOC). Active stolen vehicle recovery is possible in all European countries, including Russia. 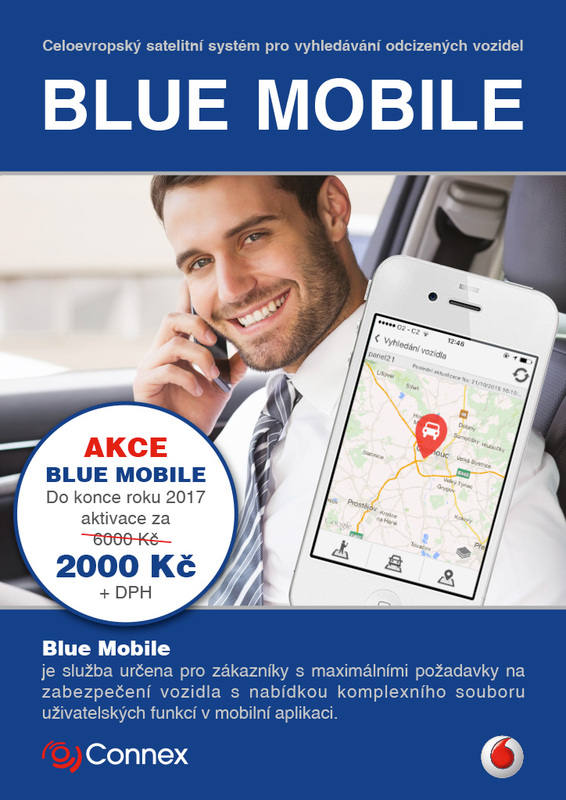 Depending on the security level, Connex offers two solutions: Orange Mobile, Blue Mobile. It protects and recovers stolen vehicles around the whole of Europe. Using GPS and GSM technologies for all products. It does not rely on one GSM operator only; instead it uses networks of all GSM operators. 100% reliable and very fast alert transfer is provided by special SIM cards of VODAFONE. If the Connex module recognizes a GSM jamming alert, based on product´s specification it is reported either to SOC or to the user via push notification. There are more than 774.440 active users registered in Europe and Russia.